A long-overdue collection of work – one that really gets at the unusual appearance of Latin rhythms on the African scene of the postwar years! Latin sounds from Africa are nothing new, but they're one of those things that's always taken for granted, too – kind of assumed in most discussions of the rhythms from the 60s onward, but never explained as fully as might be needed! Given the already-great grooves going down on the continent for generations, it's surprising that African musicians might pick up styles from Cuba and the Caribbean – yet due to the vagaries of global cultural circulation, that's exactly what happened – and the music has never been the same ever since. 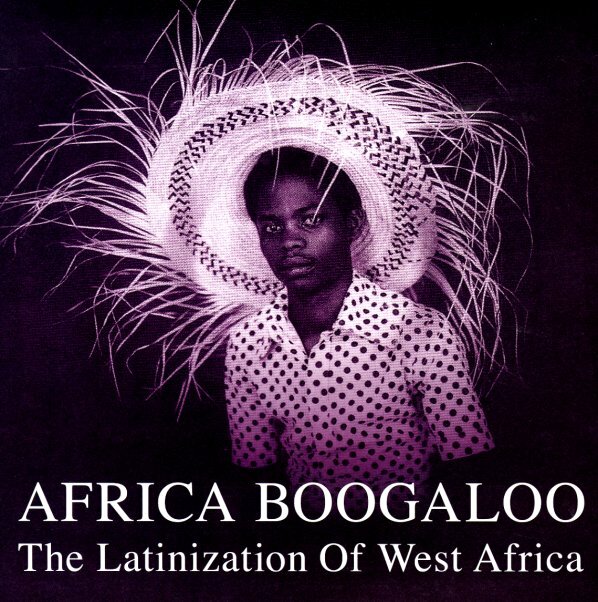 This really well-done package offers up a range of tracks from the 50s through the 70s – showing some of the earliest African extrapolations of Latin styles – clearly enforcing the "Afro" in Afro-Cuban rhythms – then moving onto some later grooves that offer up some funkier styles too. The work's a bridge between the ethnographic sets on Honest Jons, and some of the tighter grooves you might find on a Soul Jazz collection – a wonderful blend of music, packaged beautifully too. Titles include "A Moins Que Namikosa" by Orchestra OK Jazz, "Rampa Rampa" by Orchestre Yaya Mas, "Quiero Wapacha" by Charles Lembe, "Ven Y Ven Y Ven" by Orchestre OK Jazz, "Vamos A Bailar" by Rio Band, "Guantanamo" by Laba Sosseh, "On Verra Ca" by Orchestre Baobab, "Mi Guajeo" by Orchestre N'Guewel, "N'Niyo" by Amara Toure, "Il N'Est Jamais Trop Tard" by Pierre Tchana & Orchestre Poly Rhythmo, "Africa Boogaloo" by Le Grande Kalle with Don Gonzalo & Manu Dibango, and "Adigbedoto" by Gnonnas Pedro. © 1996-2019, Dusty Groove, Inc.